The Cannabis Act could lift the lid on research into cannabis as a performance-enhancing drug now that more athletes are opening up about using cannabis in sport. The medical effects of cannabis in sport and exercise are largely unknown. Given developing attitudes towards the drug and change in legislation in many different countries, it is vital that more cannabis research is done in order to inform policy in both government and sports. A new study has discovered that tough policies around drug use do not successfully deter youth from using cannabis, and that more liberal policies do not lead to an increase in rates of use. Researchers at the University of Kent re-analysed information from over 100,000 teens in 38 countries such as Canada, the US, the UK, Russian and France. France allows the sale of cannabis and hemp products that contain less than 0.2 percent THC. 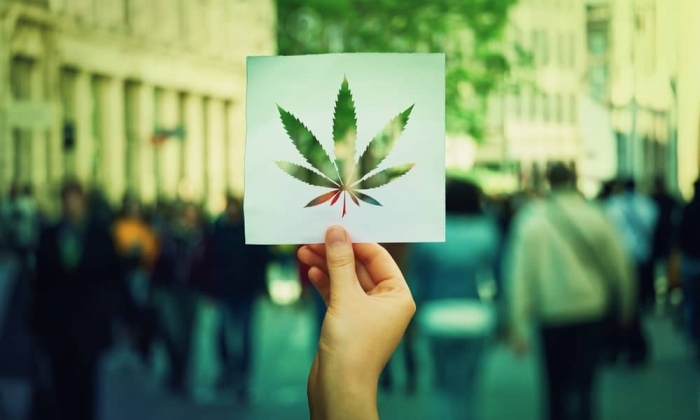 In an interview on France Inter radio last week, French Health Minister Agnès Buzyn said she is considering regulating medical cannabis in France. This is a welcoming announcement that means medical cannabis is no longer a taboo topic, and that we’ll be able to have a real conversation about it in a country that is home to the second largest population in Europe. As Donald Trump and Emmanuel Macron met at the Oval Officeto discuss such pressing issues as trade, Syria and the Iran nuclear deal, social media picked up on the sometimes bizarre spectacle. Surreal photo opps abounded, with the two leaders planting a tree, kissing each other's cheeks and - perhaps most strangely - Mr Trump brushing his counterpart down "for dandruff". Cannabis users will soon face on-the-spot fines in France, where teenage use of the drug is among the highest in Europe, French Interior Minister Gerard Collomb said on Thursday. Collomb said legislation would be presented to parliament in the coming weeks, honoring an election campaign pledge by President Emmanuel Macron who says spot fines should be used to deter petty crimes that often end up unpunished in overloaded courts. The number of 15- and 16-year-olds who admitted recent use of cannabis was higher in France than any other European country in a 2015 survey published by the European Monitoring Centre for Drugs and Drug addiction, an EU agency. France's fight against cannabis, through tough laws to punish users, has long been a failure -- the French remain among Europe's biggest dope smokers. So will a change of strategy under President Emmanuel Macron have more success? The new centrist government is preparing to soften legislation, making users caught with cannabis liable for an instant fine of 150-200 euros ($180-250) instead of prosecution and the threat of a one-year jail term. The change was an election campaign pledge from Macron last year, justified on the grounds that it would reduce the time spent by the police and judiciary on criminal cases involving recreational smokers. Several studies in recent years suggest an increase in car accidents following cannabis legalization, but the data typically lacks enough detail to provide a proper analysis. For example, the primary studies do not account for other substances, who was at fault or when the driver smoked cannabis. The latter is key since a person can test positive for cannabis several weeks after consumption. Nevertheless, a new study reconfirms what many others have, namely that driving drunk is significantly more dangerous. "Cannabis, alcohol and fatal road accidents," published by the PLoS One journal in November 2017, examined details from the Metropolitan France police force that included more than 4,000 drivers involved in car accidents.